We design and deliver many of the nation’s most successful, innovative and popular mass participation events. From larger revenue-generating events to smaller private events, our award-winning mass participation team ensure every event is managed and delivered to the Arena Standard. Our bike racking is made from galvanised steel with all poles bolted into position to provide an extremely strong structure. The industry standard bike racking tends to rely on gravity alone which is problematic when faced with uneven terrain. Our innovative approach allows you to drop one leg more than the other whilst ensuring the racks are level, meaning it’s suitable for any terrain, a huge benefit as the ground is rarely even! We stock over 500 3m pole and frame sets which enable us to cater for the larger cycling or triathlon events. Since we have also added gantries to our portfolio, we are able to offer a one stop service for products for the mass participation sporting events. Choose from temporary structures, seating, gantries, bike racking, crowd control fencing and barriers and even event obstacles – turnkey event services gives you the benefits of convenience and indeed value for money. Our aluminium truss gantries provide flexibility when matching client’s requirements and often enable clients to use their existing branding. This helps reduce the costs of changing supplier and prevents being tied to a supplier due to gantry sizes. The truss system is like lego, building blocks, enabling you to add different sized sections to achieve the desired width and height. We can pre build the gantry header and move it into position if your site is dependent on road closures enabling the deployment to its final location to be quicker thus reducing the build time. We’re also able to supply 4m tall information towers which have their ballast within the footprint enabling the structure to be fully branded with no external ballast visible. We own all our equipment, including our gantry structures, so they are readily available and we can 100% guarantee the quality of the equipment supplied. We have an in house CAD team who deliver drawings for your gantry, ensuring accurate dimensions for branding. We can of course provide your branding as part of our package should you require. The promotional trailer unit offers an excellent branding opportunity, it has LED lighting to ensure any photographs taken are well lit. It is perfect for a small music stage, bike races, product launches and for promotional events. Often used as a presentation trailer or commentary position for mass participation events. The unit is towed and can be positioned and erected in around 30 minutes. Most mass participation events will need platforms. Whether for your photographers, to get them up at height, or for your warm up commentators and especially for your race commentary crew – we can deliver a range of small, medium or large platforms. Tell us what you need and leave the rest to us. 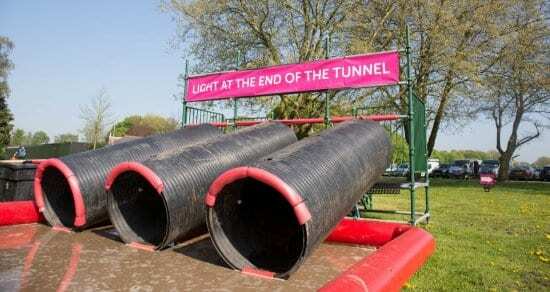 We have delivered a range of challenging race obstacles to a number of our key clients for many years. We bespoke manufacture and test the obstacles in our Coventry hub, regularly adding new inventory to our stock, keeping up to date with trends and the needs of our clients. We run dedicated training days with our partners allowing the client to test, then pass or decline new obstacles. We take this opportunity to train all personnel involved in the rigging of the obstacles and the management of the event – as expected health and safety is at the heart of our delivery. Our offering doesn’t stop at structures, gantries, platforms and mile markers… we also deliver ancillary items such as water and even the mud for our muddy events! Being the market-leader we have strong purchasing power and can often secure additional items at a very attractive price, so it’s always good to explore your full event requirements. We deliver over 400 mass participation nationwide events every year. 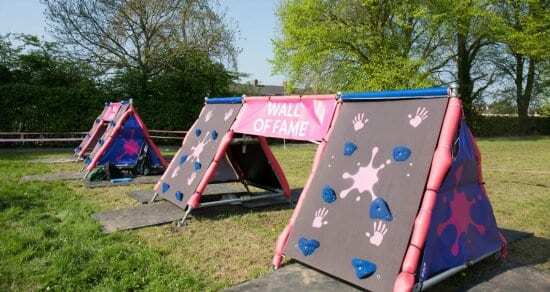 We supply gantries, stages, mile markers, crowd control fencing and barriers, obstacles and ancillary products such as water and even the mud for our pretty muddy events. We are one of the few companies who offer a fully integrated solution. Saving you time, money and hassle! After many years experience , we’re best placed to help you find inspiration, plan and deliver your mass participation event. Having worked successfully for many years with Cancer Research and British Heart Foundation, we know what it takes to deliver hugely successful mass participation events. We offer full service event solutions, choose from temporary structures, seating, cold rooms, ice rinks, bar hire, catering equipment, crowd control and furniture hire as well as mass participation events. Why not add additional products and services to your event? Our turnkey events service is convenient and offers value for money.